As a foreigner I’m constantly aware of how different Tokyo is from where I’m from in America. Here’s a few facts about my daily life in Tokyo that most people wouldn’t notice unless they get a chance to live or visit here. Crows are humongous here, and are known to swoop down and take small pets. I’ve even seen them attack people if the person has food. You can find a vending machine almost everywhere you go. There you can buy hot and cold drinks, some depending on the season. In the winter you can buy hot canned corn and sweet bean soup, and they’re delicious. It’s not very expensive, usually less than 200円 (less than $2 USD), but those costs do add up over time if you’re on a budget. There is a convenience store at almost every corner, and the food they sell is not only cheap and edible…it’s also delicious. But… you can rarely find a trash can once you leave the store. People carry their garbage with them until they get to the next こんびに (convenience store) or train station, etc. Most homes do not have a dishwasher. Homes usually only have a clothes washer, but not a clothes dryer. Most everyone hangs their clothes and bedding out to dry. It is more convenient to ride a bike, walk, or take the train than it is to drive and park. (within the city, anyway). Parking costs money and paid parking lots with an open spot are sometimes hard to find if you don’t have one of the fancy car navi systems that shows you open lots. In Tokyo most Japanese people hurry- even employees. They will actually run to go open up their cash register, help a customer, etc. Often English is used as a novelty… not as an indicator of what kind of business it is. For example, there is a place near me called “Flamingo Saloon” with an old-west style sign. It’s a hair salon. This can be very confusing for a new person who can’t read or search online for services in Japanese. There’s a learning curve, for sure, and sometimes that curve is going to the place, realizing it’s not what you thought it would be, and leaving. You can find the kcalorie content on pretty much everything, and sometimes it’s even listed on the menus. This helps when trying to decide what to grab to eat when you’re out and about. Inanimate objects “sing” to you, or make other such noises…and I love it. My rice cooker plays “Twinkle Twinkle Little Star” when you turn it on and when it’s finished cooking, my hot water boiler plays “Fleur de Lise” when it’s finished boiling, the trash truck plays a song the entire time it’s driving, the floor waxing/buffing machine in the train station also plays a song… the list goes on, and on. I think it’s really interesting and pleasant. Of course these are just a few examples of what I’ve experienced while living here. I might jot down a few more later, or write a new post about it. I’m not sure yet. What did you find surprising when you lived in or visited Tokyo? 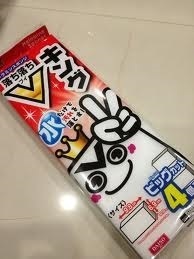 Japanese packaging is so easy to open- from onigiri to shipping boxes. It’s very convenient! Surgical-style face masks. How could I have left this out of my original list? People wear face masks for many reasons. Sometimes they’re sick, sometimes they’re worried about getting sick, and sometimes it is due to allergies. There are so many choices for shampoos and conditioners that many drug stores will sell trial sized packages of most of the popular brands on the shelf. This is great when you’re not sure what to buy-especially if you can’t read all of the package. It is very cost effective compared to buying a large size of a product that you might end up not liking. Yesterday a Japanese person asked me what 2 things I would pick that best represent [my impression of] Japan. I found this to be a difficult question because so far I love everything about it. I think that Japan’s train system is a metaphor for modern Japan culture. I’ll often see women in kimono as they go to and from work, which is a reminder of how rich Japan’s culture is and how seamlessly the past blends with the present here. On the same city block you will see a mixture of old wooden homes alongside modern structures, so the blending of past and present is something you will instantly be aware of. The trains are efficient, on time, and reliable. The signs are in English, which shows how willing the Japanese people are to accommodate travelers who speak other languages. The station is packed with delicious smells and foods, gifts, convenience store items, grocery stores, and sometimes even department stores, so you’re never at a loss for something to buy that you need or want. The passengers are quiet, respectful, and keep to themselves. I find that the majority of people follow the established rules of the train system:stand on the left of the escalator and walk on the right, no talking on your phone in the train, move quickly, and don’t stop the flow of traffic. To me, this behavior shows how disciplined, respectful, and orderly the Japanese are- and I love it. Then you have those passengers who sleep on the train. Many Americans I know think this is very funny (for some strange reason), but I think that these sleeping people represent the long work day and diligent work ethic that Japan culture celebrates. Japanese gadgets never cease to amaze me. Every time I see a new one it makes perfect sense and I wonder why I haven’t seen it before now. I think that Japanese gadgets (for the kitchen, organization, storage, bathroom, and the like) are a perfect example of the efficiency and ingenuity of the Japanese culture. These products exist because there was a need that wasn’t being filled. 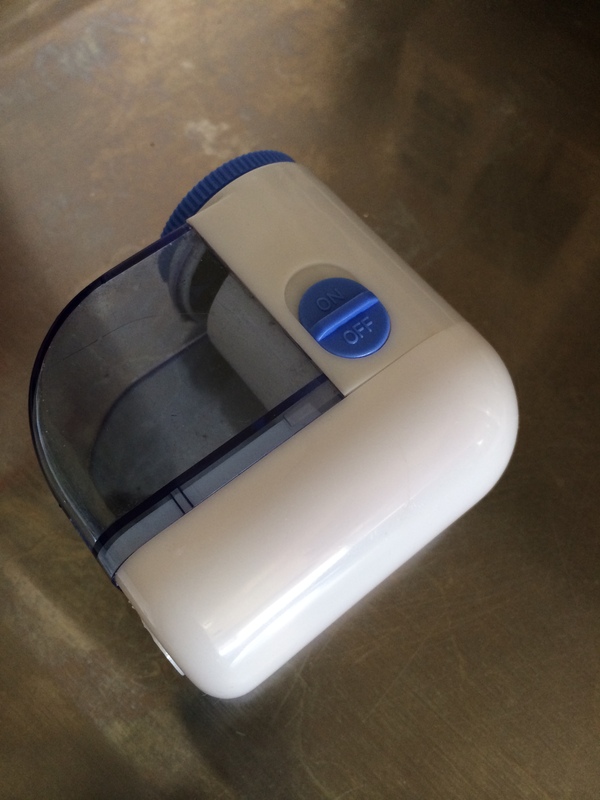 Sure, there are some products out there that are probably useless, but there hasn’t been a single product I’ve bought that hasn’t helped make my daily life easier. If you had to choose 2 things that best represent your impression of Japan, what would they be? We just experienced our first Sakura (cherry) blossom season here in Tokyo and it was more beautiful than we expected. 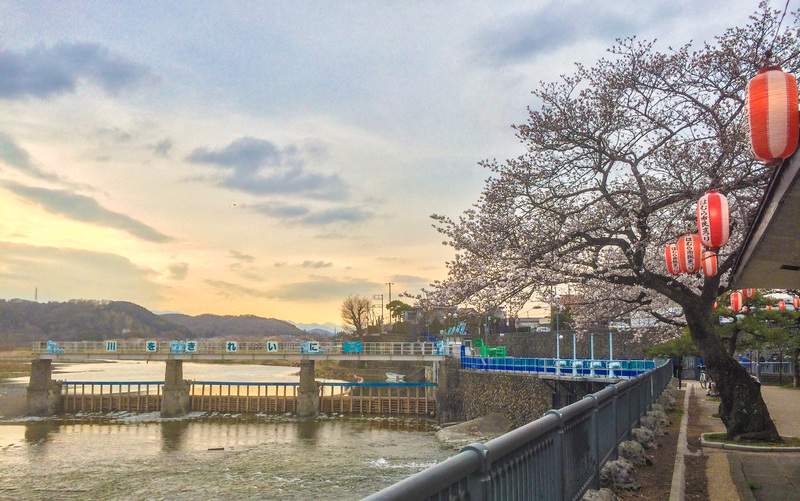 While we didn’t get to see every hanami (Sakura viewing) spot we wanted to see because of our very limited free time (David now works 12 hour shifts overnight), were still able to enjoy Hanami at a few places. 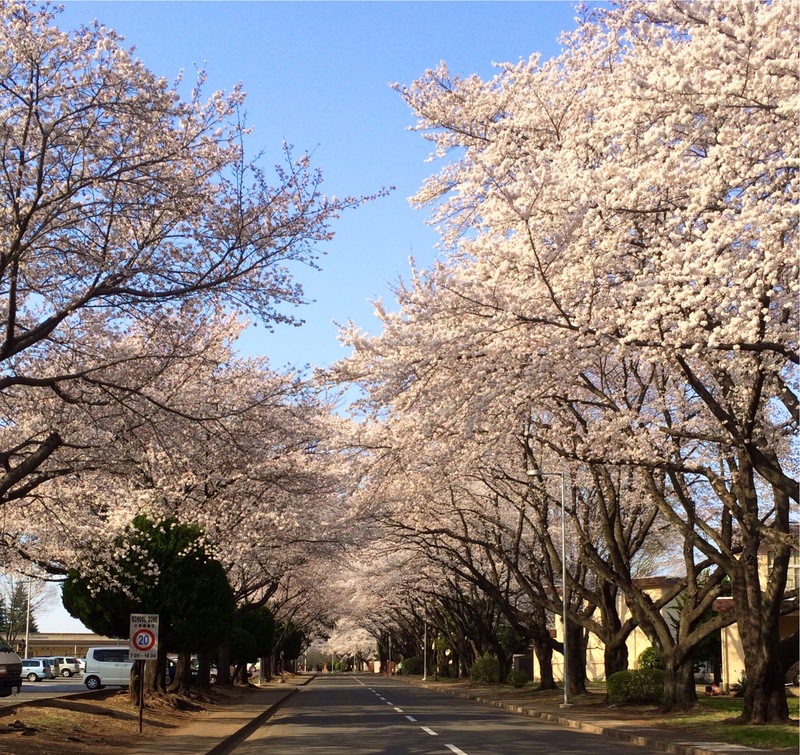 The Sakura near where we live on the base in Fussa are already bare from the high winds we’ve gotten lately, but I have enjoyed riding my bike through the falling petals as I run errands around the local area. I work at an English cafe in Hamura on the weekends David works and the owner has become a good friend to us. He is a widower and has tried to go on local bus tours by himself, but going alone just isn’t the same as going with friends or loved ones, so when he asked if we would be interested in going with him we were very excited. The bus tour Ken-San booked for us was a Sakura tour around Tokyo that included all-you-can-eat tempura and sushi for lunch. Ken-San did an excellent job of telling us about the places we visited because the entire tour was in Japanese. We learned many new things and visited places we wouldn’t have discovered on our own. The tour was rushed, though, because traffic caused us to get behind, which meant our time at the locations was cut short. I think my favorite Hanami was when we actually had the time to take a picnic lunch and relax under the Sakura by the Tama river in Hamura. We stumbled upon a small matsuri (festival) and I tried some fried uncooked spaghetti that was covered in sugar. I don’t know the name of it, but the booth was very popular so I decided to try some. It was good, but very messy. There was powered sugar everywhere! 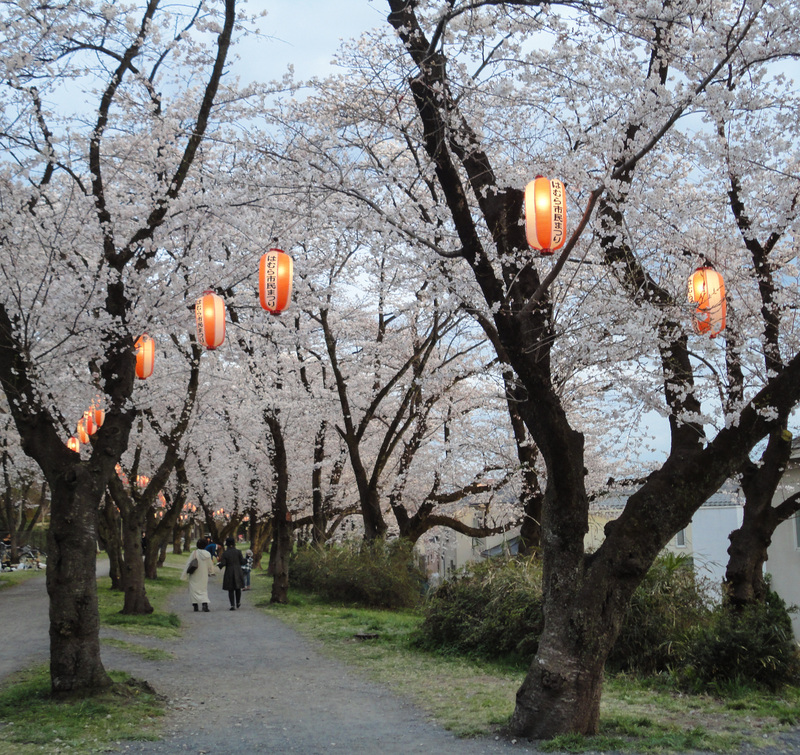 Lanterns lined the path around this section of the Tama river, and this particular spot felt very dreamlike to us. 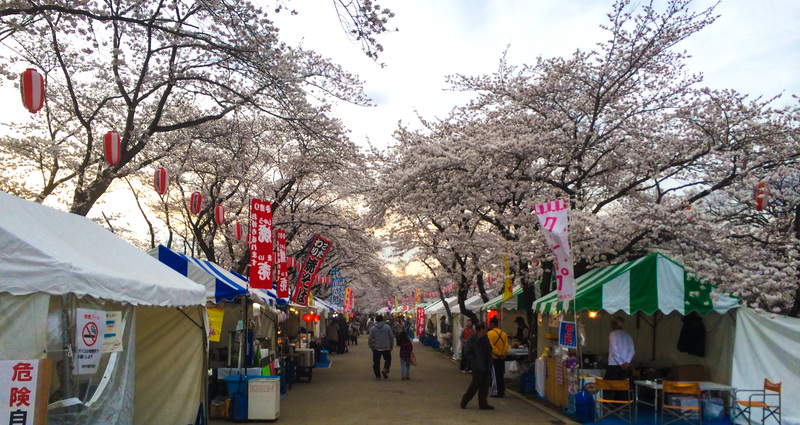 We went back to Ueno Park to see the nighttime Hanami, and we were delighted to see so many Japanese people relaxing, drinking, and having a great time with their friends and co-workers. 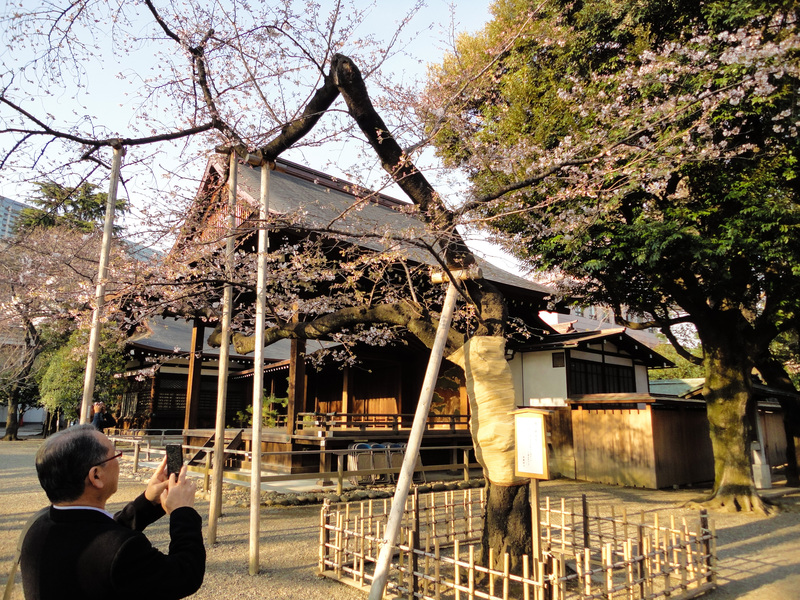 Next year David plans to take leave so he will be able to enjoy the Sakura during the day. I certainly look forward to next year’s Sakura blossoms! 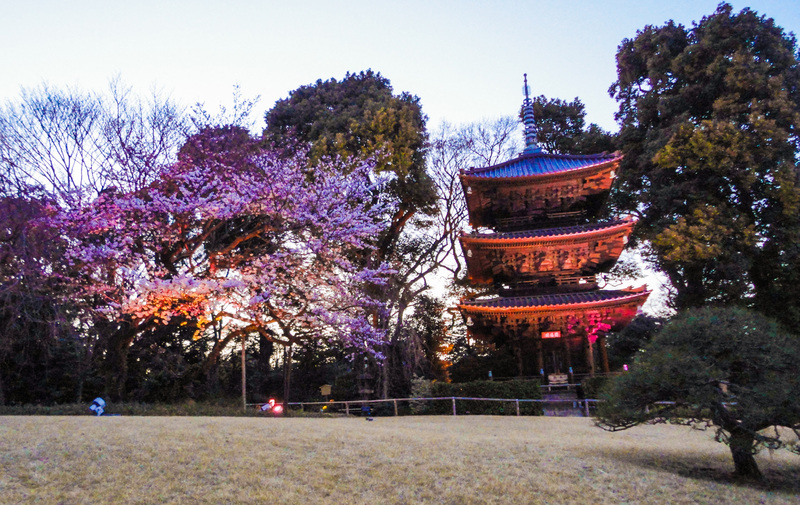 Do you have a favorite Sakura viewing spot? Recently I read another blogger’s roundup of his 10 favorite handy items from the 100 yen store, so I thought I would do my own. There are a few different 100 yen store chains, but all of these gems are from the Daiso. Think of the Daiso as a Dollar General that has higher quality items that you can actually use for a long time. For the most part I agreed with the author, but I found 10 more must-haves. Here you can buy a bag full of melamine sponges in a variety of shapes and sizes. I’ll never buy an overpriced Magic Eraser again! Not only did I finally find a marker to match my espresso-finished furniture, it works like a dream and was dirt cheap compared to American home stores. This came in handy for both the scratches that our furniture endured during its journey here to Japan, and for scratches that had been there for years. Washing rice is a breeze now that we found this washer/strainer, and our rice paddle is easy to reach. Use this tool to punch holes in the bottom of hard boiled eggs before boiling to make them easier to peel. It’s magnetic so you can stick it to the fridge when you’re not using it. This handheld battery operated sweater fuzz remover is powerful and effective. I have never bought one before simply because they’re too expensive for me- I’m super thrify. For 100 yen this was definitely a must-have! This is the most effective spray bottle I’ve ever bought anywhere- it has a strong sprayer and trigger. The pump bottles come in many sizes and are great for dish soap and shampoo. I found both wired and wireless setups. Start a video recording on your phone, put it in the closet, and shut the door to make sure you’ve got the positive and negative magnets positioned correctly. The 100 yen stores are perfect for gifts to send loved ones back home. This is just 1 of the aisles full of Hello Kitty products. 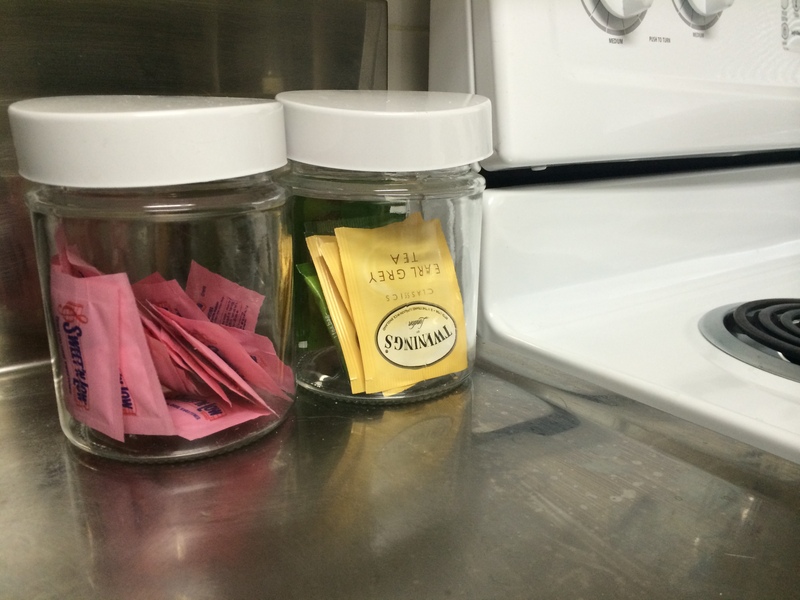 These glass counter canisters work great for holding tea. Most homes are small here, so making best use of your space is critical. We found these dish soap holders and use them for toiletries, instead. This suction cup office pencil holder doubles as a toothbrush holder. We were also able to use these same items to mount our WiMax adapter to the sliding glass window for better reception. No fiber- I know. It’s terrible, and the internet options on the military base are equally awful-trust me. So, what are your favorite 100 yen store products? As I sit here watching Japanese infomercials I thought that I should write about my first (unaccompanied) haircut in Japan. We have lived here almost 3 months and I needed my hair cut in January. The on base salon was booked and I didn’t know where else to go. My friend Itsuka took me to DOT, the place where she gets her hair cut in Fussa. She translated for me and got me a temporary membership card. I had a picture of a past haircut on my phone so I showed the stylist and let her go to work. Be prepared- razor/thinning is popular here and there was much more hair on the floor than I expected. The rest is kind of fuzzy because I was so nervous. The stylist seemed excited about my natural curls and wanted to style it that way so I didn’t see it straight until the next day when I straightened it myself. My nape hair was longer than I liked so I took office scissors to it. You would think I knew better since this summer I played hairstylist when I got frustrated with my sideswept bangs and cut them off, making them blunt. Not my best idea, but I had them shaped up by my stylist in Oklahoma and they eventually grew back out. It’s mid-February now and it was time to get my hair cut since it was growing out strangely because of my most recent scissor attack. Itsuka couldn’t go with me because she had prior obligations for the next few weekends, but she was kind enough to make me an appointment online and added a note to blow my hair straight. I took a printed picture this time of a Japanese cut and went to my appointment. While I do know some Japanese I don’t know any hair salon vocabulary so I was just as nervous as I was the first time I went. Doki doki! I handed my paper membership card to the person behind the counter and was given a key for a locker to hang my jacket and purse. I was the first person that morning so I was seen right away. We discussed the picture in simple Japanese and he began. First he sprayed my hair with water and then started cutting. He then blew my hair dry and I told him I liked it. He said in English that he wasn’t finished, so I felt pretty silly. He cut, and cut, and cut, then he blew it dry (again). I said I liked it (again) and almost put my scarf on. He took my scarf from my hands and gestured to the sinks. Apparently I wasn’t finished. He put a towel in my lap and a young lady put a gauze-like fabric on my face and began washing my hair with water only. I was guided back to the chair and both she and the male stylist started co-drying my hair with their fingers. If you have never had 2 different people finger dry your hair at the same time you are missing out. It was relaxing and I tried to enjoy the feeling rather than think about how it compared to the service we get in the states. He blew my hair dry a third time, which surprised me. In America you get it styled once and that’s it. He took such care to re-shape and razor out the remaining bulk as he styled my hair. I even felt confident enough to ask for the nape hair to be a little shorter, and he complied. In the end it was a bit shorter than I orginally wanted, but it ended up being the perfect hair cut experience overall. The best part? It cost 1890 yen (roughly less than $20 USD) without tip because tipping is not customary here. Try to be brave and go to a Japanese stylist, even if you don’t know much or any of the language. Take a picture of the style you want, point to it and say “kore kudasi,” or you can even show with your finger how much you want cut off. *A kind Japanese reader pointed out something I should have. I was taught that “kore kudasi” is not grammatically correct, but that if you’re foreign the Japanese people usually know what you mean. However, the correct phrase is “kore ni shite kudasi.” Thank you for reminding me to say that my previous phrase wasn’t grammatically correct, and for telling me the correct phrase, Marshall!